David Mura is a writer, memoirist, poet and performance artist who brings a unique perspective to our multi-racial and multi-cultural society. A third-generation Japanese-American, he has written intimately about his life as a man of color and the connections between race, sexuality and history. In public appearances interweaving poetry, performance and personal testament, he provides powerful insights into the racial issues facing America today. 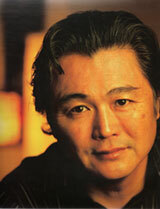 Mura's memoirs, poems essays, plays and performances have won wide critical praise and numerous awards. Their topics range from contemporary Japan to the legacy of the internment camps and the history of Japanese Americans to critical explorations of an increasingly diverse America. He gives presentations at educational institutions, businesses and other organizations throughout the country. In A Stranger’s Journey: Race, Identity & Narrative Craft in Writing, published by University of Georgia Press, David Mura has written a book on creative writing that addresses our increasingly diverse American literature. Mura argues for a more inclusive and expansive definition of craft, particularly in relationship to race, even as he elucidates timeless rules of narrative construction in fiction and memoir. His essays offer technique-focused readings of writers such as James Baldwin, ZZ Packer, Maxine Hong Kingston, Mary Karr, and Garrett Hongo, while making compelling connections to Mura’s own life and work as a Japanese American writer. This is a book for writers who want to engage with the issues with race and identity and writers who want to learn essential narrative techniques used in fiction and memoir. trans. in Japan, Hakurosya; Netherlands; paperback reissued, with a new afterword by Grove Press 2006). Cover art by Long Nguyen.